Some of the texts from what is called the Villa of the Papyri have been deciphered since they were discovered in the 1750s. But many more remain a mystery to science because they were so badly damaged that unrolling the papyrus they were written on would have destroyed them completely. "The papyri were completely covered in blazing-hot volcanic material," said Vito Mocella, a theoretical scientist at the Institute of Microelectronics and Microsystems (CNR) in Naples who led the latest project. 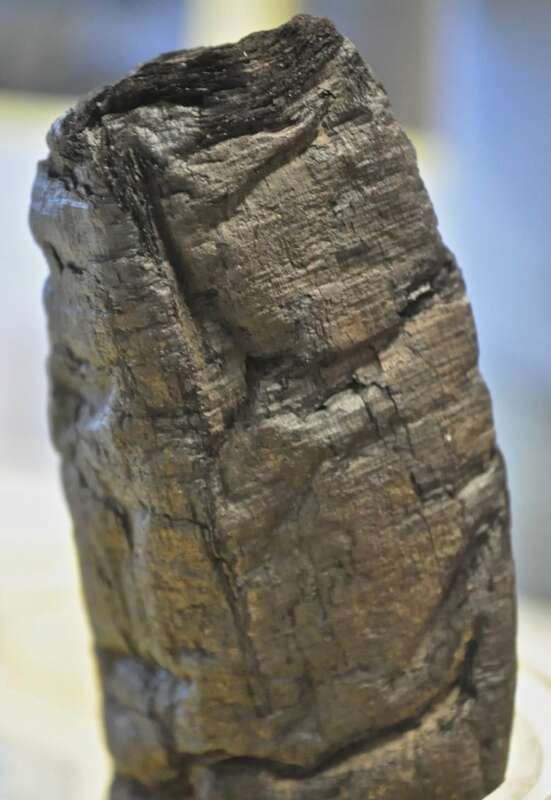 Previous attempts to peer inside the scrolls failed to yield any readable texts because the ink used in ancient times was made from a mixture of charcoal and gum. This makes it indistinguishable from the burned papyrus. 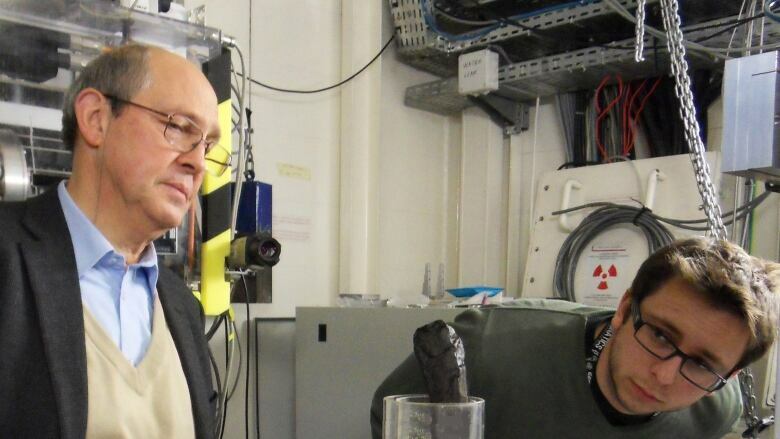 Mocella and his colleagues decided to try a method called X-ray phase contrast tomography that had previously been used to examine fossils without damaging them. 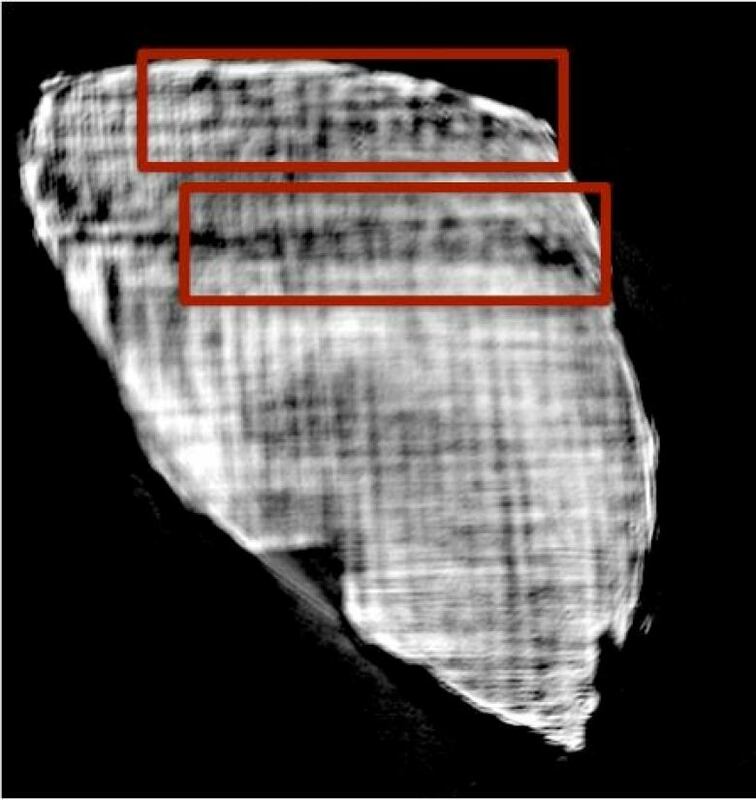 Phase contrast tomography takes advantage of subtle differences in the way radiation — such as X-rays — passes through different substances, in this case papyrus and ink. Using lab time at the European Synchrotron Radiation Facility in Grenoble, France, the researchers found they were able to decipher several letters, proving that the method could be used to read what's hidden inside the scrolls. "Our goal was to show that the technique is sensitive to the writing," said Mocella. In a further step, the scientists compared the handwriting to that of other texts, allowing them to conclude that it was likely the work of Philodemus, a poet and Epicurean philosopher who died about a century before the volcanic eruption. The next challenge will be to automate the laborious process of scanning the charred lumps of papyrus and deciphering the texts inside them, so that some 700 further scrolls stored in Naples can be read, Mocella said. Scholars studying the Herculaneum texts say the new technique, which was detailed in an article published Tuesday in the journal Nature Communications, may well mark a breakthrough for their efforts to unlock the ancient philosophical ideas hidden from view for almost two millennia. "It's a philosophical library of Epicurean texts from a time when this philosophy influenced the most important classical Latin authors, such as Virgil, Horace and Cicero," said Juergen Hammerstaedt, a professor of Greek and Latin at the University of Cologne, Germany, who was not involved in the project. "There needs to be much work before one can virtually unroll carbonized papyrus because one will have to develop a digital method that will allow us to follow the layers," he said. "But in the 260 years of Herculaneum papyrology it is certainly a remarkable year."